﻿Bruce Goodman's "The Pickled Oyster"
We have received a number of complaints regarding the quality of food preparation at The Pickled Oyster. This restaurant had an exceedingly high reputation for quality food at the time of your appointment as Head Chef. You had the highest training a chef could have, and your employment at The Pickled Oyster hinged on the fact that you would keep the same menu, prepared to the customary high standard. Not only has the quality of food preparation plummeted, but you have changed the menu considerably. The Pickled Oyster cannot be regarded as both a quality high-class restaurant and a cheap takeaway shop. 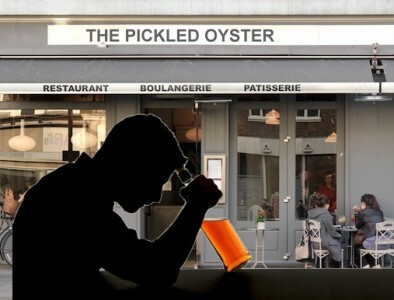 As the owner of The Pickled Oyster I cannot afford to run such an establishment at a loss and continue to pay you a wage which appears to be higher than the quality of your culinary expertise. It is therefore with regret that I inform you that your employment is terminated. P.S. Can you give me a call when you next intend to visit grandma as I have a few things I’d like you to drop off.